White water rafting has grown in popularity in recent years and it has become a favorite activity for businesses sending staff on team-building days and for stag do adventure weekends. There is a lot of skill required in this sport and on most of the natural, dam-fed or diverted river sites there is a need for qualified and skilled instructors. There is a level one course for those who want to be a raft guide which usually takes between 4 and 6 days to complete. The course can be taken anywhere although you actually need to pass the assessment on the same course on which you are going to be a guide. When you are taking the Level 1 course you will learn how to look after the raft, take care of the equipment, brief the clients, learn about the river and all the rescue equipment and how to use it. You have to be at least 18 years of age to train as a rafting instructor and you will also need to have a valid first aid certificate. In addition to this you have to take part in a minimum of 10 training trips. Most courses are run by the BCU, but you could also take the IRF training, which will allow you to work both in the UK and abroad. It is a very similar version of the course. Level 1 IRF is a trainee level, level 2 is a licensed guide and if you wish to progress to level 3 you can be trip leader. If you progress to level 2 you can guide trips on other rivers so if you want to change jobs you can do it. 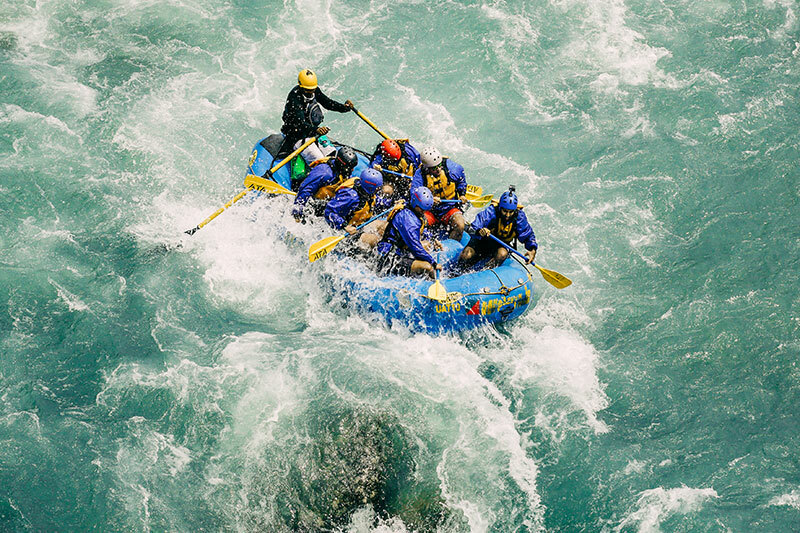 You will also be able to work in one of the many white water rafting centres around the country.